Welcome to the second episode of Inspired Interiors. If you’re new to this series then basically we take a Tiger Sheds building and decorate it with a stunning interior decor scheme! 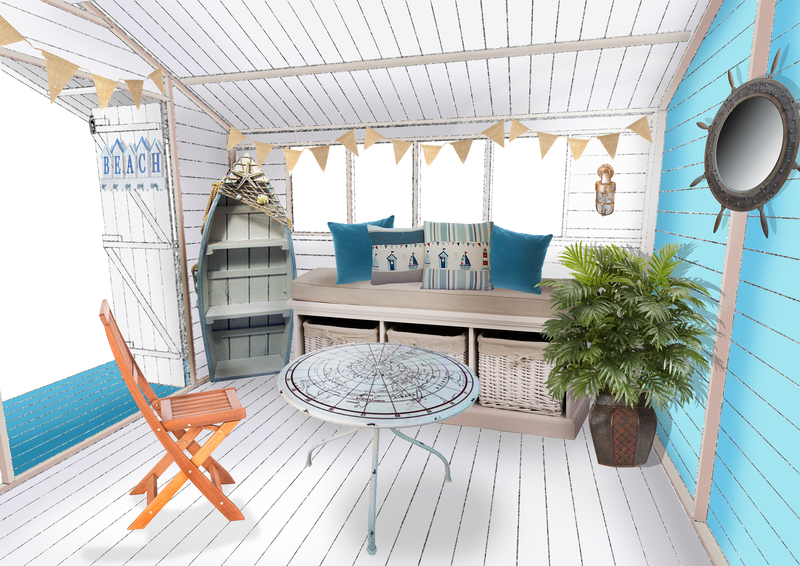 This month we hope to inspire you by transforming a Tiger Summer Shed into a nautical Beach Hut! 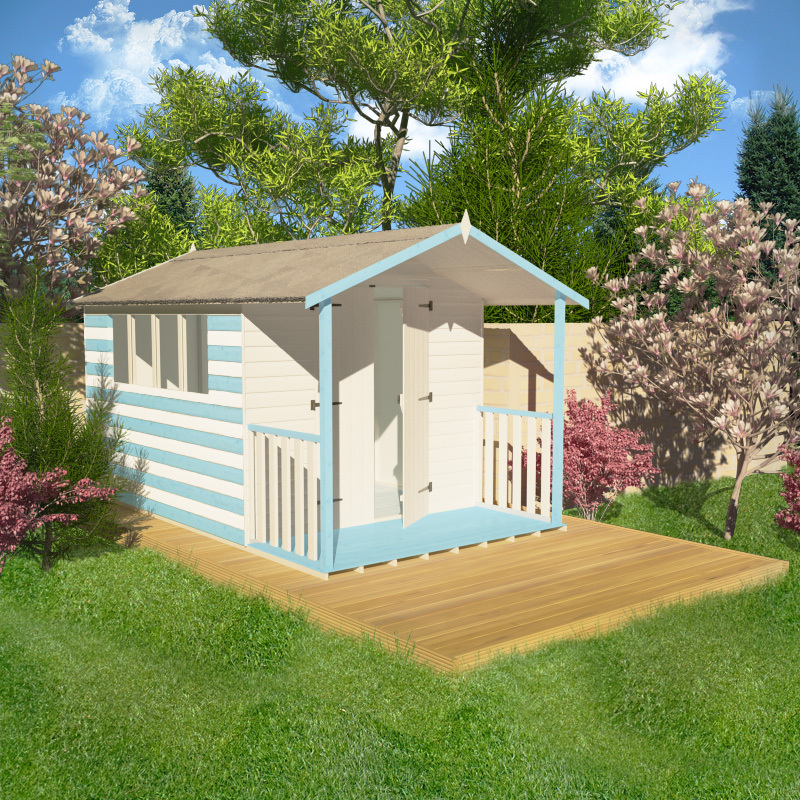 The chosen product that we will decorate this month is The Tiger Summer Shed. Why we chose this product. We chose the Tiger Summer Shed as we feel it already has that traditional ‘beach hut’ vibe, plus it’s a really lovely building for summer. The size of the building we actually use for Take me to the Seaside is bigger than the one in the image above and has some additional features added to it. The size of the building we’ve used in this blog is 10×8 and we’ve also added in a veranda, extended the floor and roof for more overhang plus we’ve added in double doors. Keep on reading to view the exterior of the summer shed with those features. 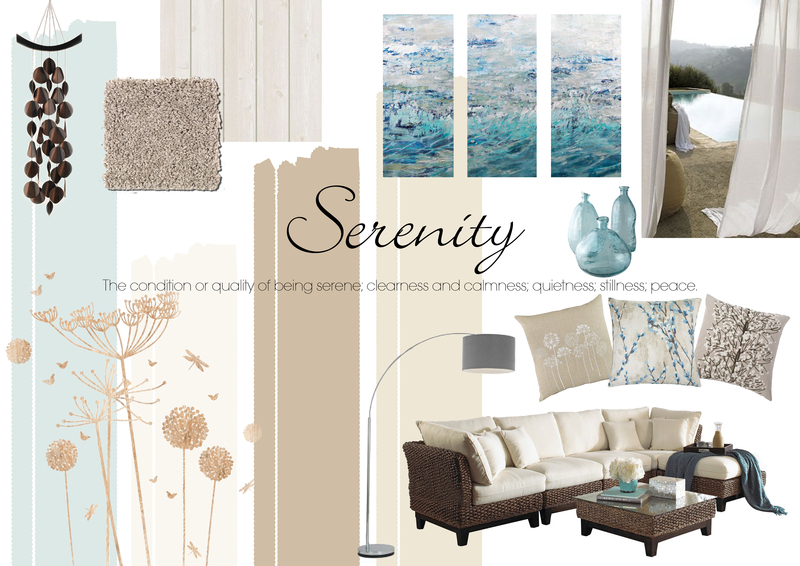 Mood board for this month’s Interior Decor Scheme. We created this scheme with the idea that as soon as you enter the room it makes you feel like you’ve just arrived at the seaside – think nautical decor, blue tones and a really outdoorsy vibe! 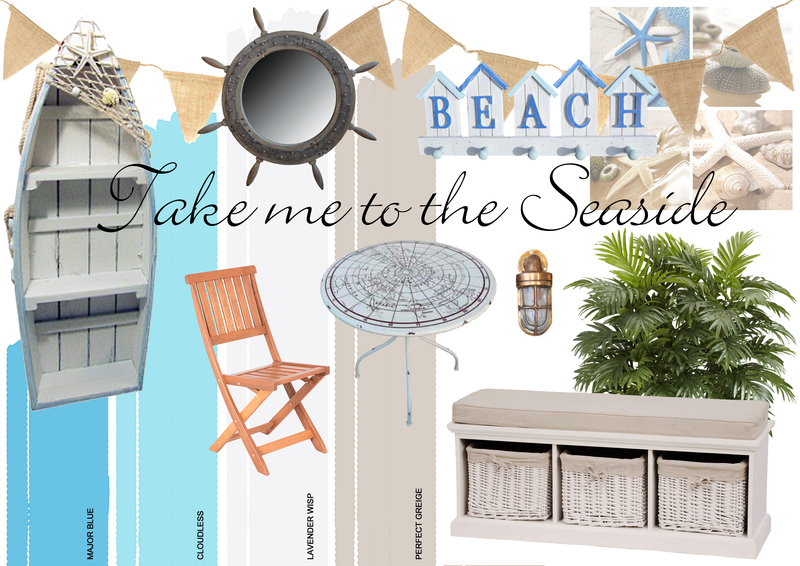 Beach themes are so trendy, so Take me to the Seaside is a take on the traditional beach theme but with a strong sense of feeling outdoors and at the seaside! The Tiger Summer Shed decorated using ‘Take me to the Seaside’. 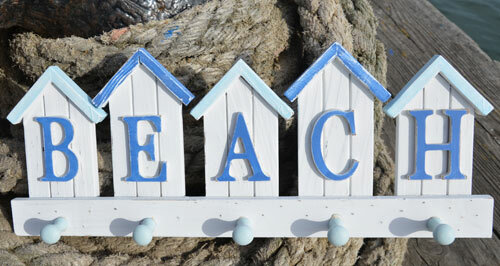 This fresh and yet vibrant colour scheme plays a huge part in creating that beach hut look . We went for a fresh white called ‘Lavender Wisp’ against a light blue called ‘Cloudless’. 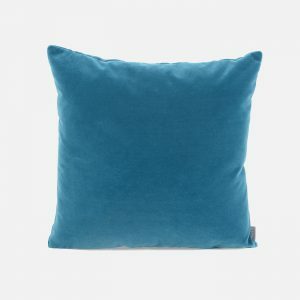 We’ve also added in some dark blues, with the throw cushions and coat hangers, plus a soft beige with the seat box. The exterior of the shed is painted in white and blue stripes for that famous beach hut look, so you can instantly see that it’s a beach hut without even entering the building! So that’s why we’ve added a simple deck chair and plenty of storage for cosy blankets, so you can do just that but from your very own beach hut! In terms of smell we think a beach hut should smell fresh and ‘outdoorsy’. You can achieve this by adding in some fresh smelling candles and air fresheners. Plus plants, pebbles and seashells will aid to the smell of the outdoors and look nice as decor. If you think of being at the seaside you can usually hear children playing, the sea swishing and swooshing and birds chirping. Those huge double doors we added to our building can be left open on a nice day to enjoy the sounds of the outdoors. The sofa seat and deck chair provide the perfect spot to enjoy fish chips or a nice ice cream, just like you would at the seaside! You could even store some tubs of your favourite rock or seaside sweets to snack on whilst relaxing? 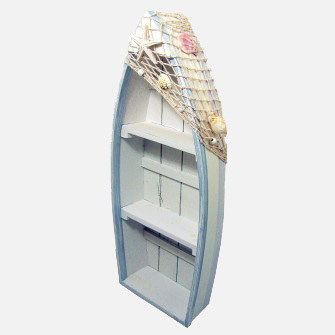 Boat shelf £26.50 from Mill Race Garden Centre. 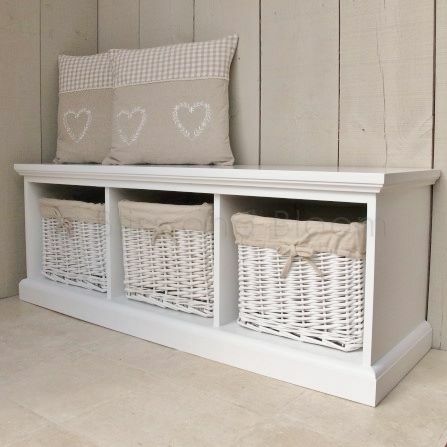 Seat box with wicker storage baskets tucked underneath £249.99 from Bliss and Bloom. 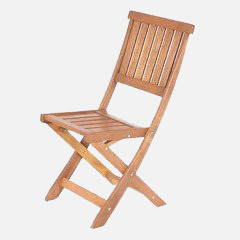 Folding deck chairs £29.99 from Greenfingers. 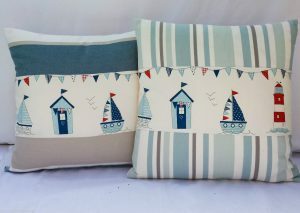 Nautical themed throw cushions – The beach huts and boats on them are £7.95 from eBay and the plain blue cushions are £45 and are from Heal’s! 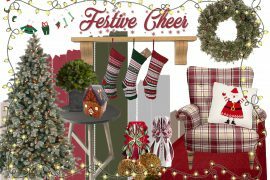 Fun and vibrant accessories – To finish off the furniture we wanted to add in some really unique and quirky decorative items. That’s when we discovered Dorset Gifts! From this website we picked amazing coat hangers which are £9.99 each. 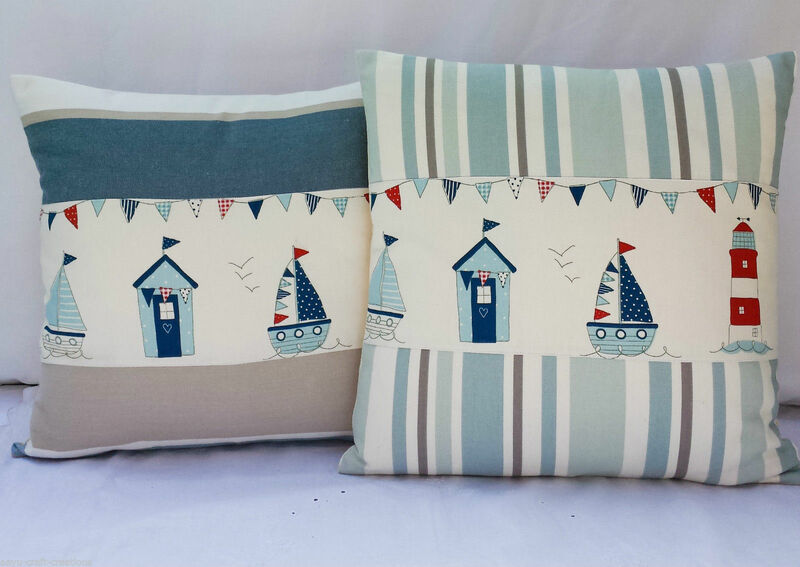 Fantastic website to use – The Stripes Company, filled with really beautiful and nautical furniture, accessories and fabric which can really help when creating your Beach Hut. We want to know what building and what decor scheme you would like to see us do next? 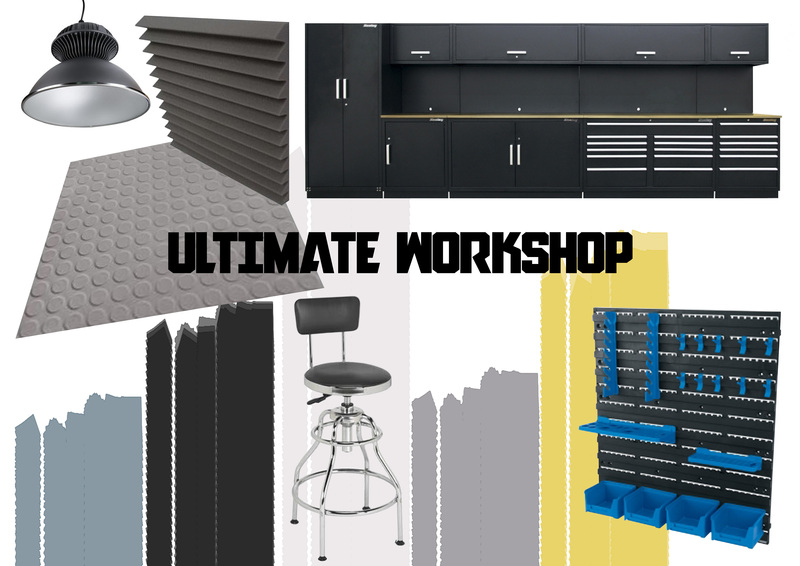 Man cave, sports hideout, ultimate tool shed…whatever it is let us know! Comment your ideas below, via Twitter @TigerSheds or email hannah.moore@tigersheds.co.uk. Wouldn’t it be fun to see your idea come to life? Previous articleFrom normal garden shed to smashing football hideout! Very nice idea turning this into a beach shed! This would be easy to implement! Do you have any ideas for the next episode? 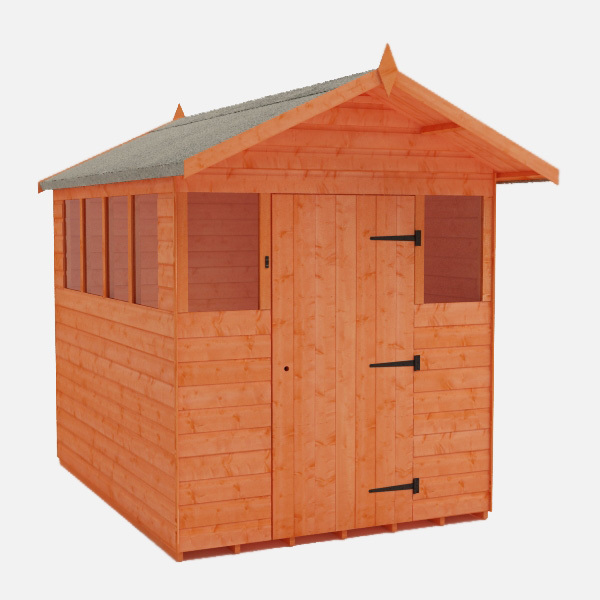 Maybe a playhouse for the summer holidays or an arts and crafts shed?